worldwide". 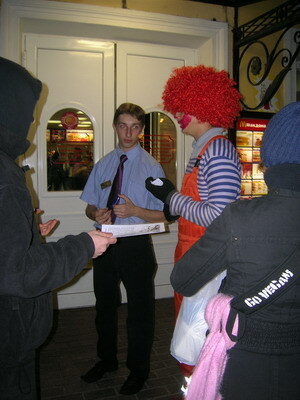 Then they got inside the restaraunt messing continuing there tricks inside. 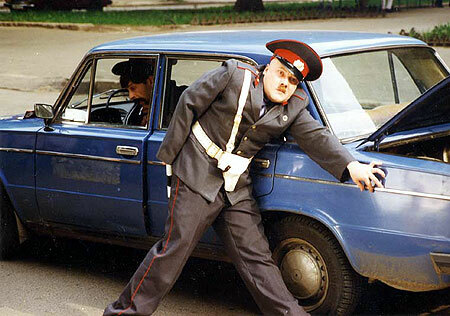 First the McDonald's security was engaged and then Russian police was called, but they ran away. Another activist is wearing "Go Vegan" slogan. 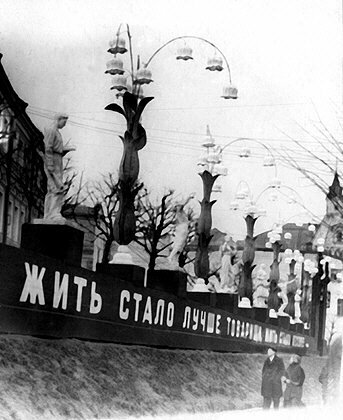 srengthened, at the end of Soviet era cities were drowning in red flags and slogans on each holiday. "Our life is much better now! Our life is a great fun today!" easy to the Soviet soldiers to accept this proposal. There were special troops that were in front of the main troops that were held with one purpose - to catch everyone who flee to Finland or any other German ally and to shot him down right on the place or throw him in a jail. So it was a tricky game. 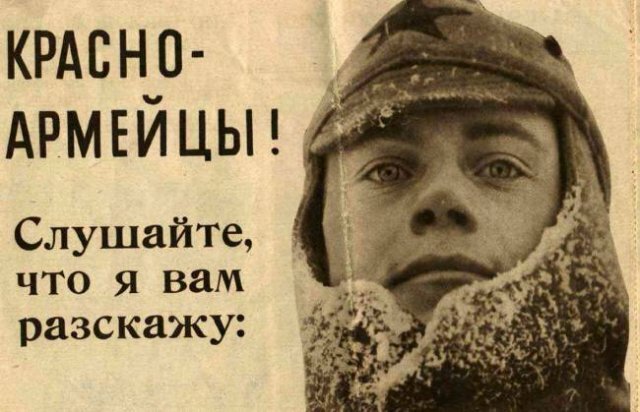 "Dear Soviet soldiers! Listen to me! I'll tell you something!" if this is true for these photos. These photos are from a collection that is targeted on the pre-Democratic period of Soviet Union, taken from different public sources like magazines, newspapers and internet, from both sides - from Soviet and Western. 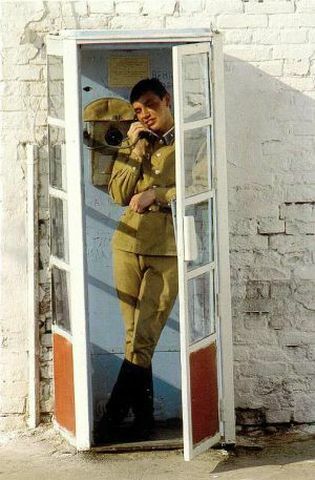 A soldier and a telephone booth. 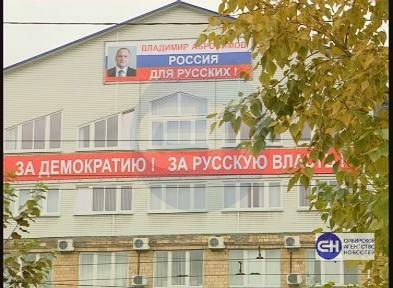 youngsters about the Revolution, the Communism and the Red Stars of Kremlin. The price was 0.05 rouble, according to Soviet exchange rate it was around 5 cents. 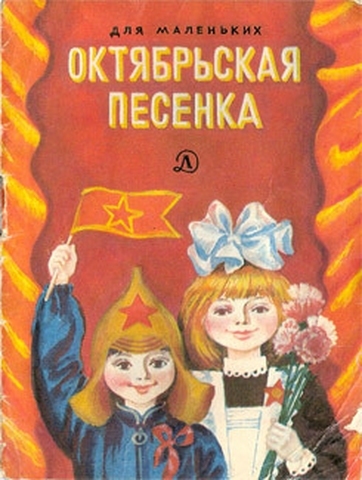 This price was normal for kids books in Soviet Russia. Everyone in Soviet school wore a star on his uniform. group of Russian people flew far away to North in order to avoid death from the Tsar Ivan. They settled there and those people on the photos – direct descendants. 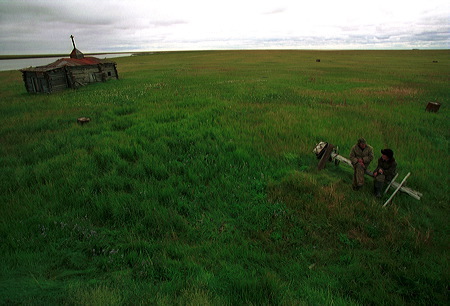 They lived 400 years among Russian Eskimos people but didn’t assimilate and saved their traditions and Russian language. their MBA degrees. The session started in this small room where 6 students live. They told that under the floor huge rats live, so they had to take care all the numerous holes in the floor. intolerance, which appears now widely in Russia against the migrants from Southern regions, who often differ by skin colour from the native inhabitants of central Russia. people in Moscow and major cities, but most of the young men make their bodies strong and fit in such studios. There are proud signs “Made in USSR” on some of the equipment. Time passes – things stay the same.